Hanoi (VNS/VNA) - Vietnamese manufacturers are set to increase their selling prices following the 8.36 percent hike in electricity price that launched from March 20. Vietnam Cement Industry Corporation (VICEM) But Son announced it would increase the price of its cement by 30,000 VND (1.29 USD) per tonne immediately after the power price increase. Do Tien Trinh, VICEM But Son’s General Director, said that in addition to the electricity tariff hike of 8.36 percent, the price of coal sold to cement producers also increased by 2.3 to 5.8 percent depending on the kind of coals. The coal price increase came because electricity accounts for 10 percent of production cost. In addition, the Vietnam National Coal and Minerals Industry Holding Group (Vinacomin) has not provided enough coal to cement producers, making them import the product at high prices. Trinh said the firm could not afford to offset the rise in input costs and had to increase retail prices to ensure sustainable production. VICEM Tam Diep Company also had the same increase in the selling price. According to Pham Van Minh, the company’s general director, no business wants to increase retail prices, but electricity and coal make up a big portion of input material costs for cement production. 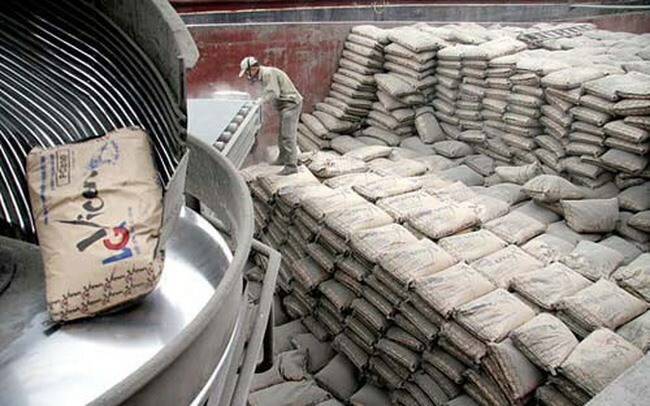 Cong Thanh Cement Joint Stock Company in the central region did not raise its retail prices but is charging distributors 30,000 more per tonne. Nguyen Quang Cung, Chairman of the Vietnam Cement Association, said cement producers were not surprised by the power tariff hike and had been preparing for the change. Its calculations showed if the electricity price was increased by 8.36 percent, cement production cost would rise by 14,000 VND to 15,000 VND per tonne. Steel producers also said they would increase their selling prices. SSE Steel Company said it doubled its steel selling price to 200,000 VND per tonne, while Thai Nguyen Steel and Iron Corporation (Tisco) increased its selling prices by 150,000 VND to 200,000 VND per tonnes. The Vietnam Steel Association said it was unavoidable for steel producers to raise their prices as power accounted for 8 to 9 percent of total production costs. In addition, the import prices of iron ore and steel billets were also rising this year, affecting steel production costs. Nguyen Anh Tuan, head of the Electricity Regulatory Authority of Vietnam (ERAV) under the Ministry of Industry and Trade (MoIT) told a press meeting last week that there were about 1.4 million manufacturing businesses in Vietnam who spend on average 12.39 million VND per month on electricity. The average increase in their power bills would be 870,000 VND a month. While electricity prices have almost doubled in the last decade, the MoIT said Vietnam’s electricity prices were 8.1 percent lower than that of China and India, 18 percent lower than Laos and 26.5 percent lower than Indonesia. Even with the latest increase, the prices would only be on par with China and India. “Vietnam’s electricity prices are lower than other countries. It is the reason that foreign investors are not interested in investing in electricity projects in the country,” said deputy minister Hoang Quoc Vuong. However, chief economist of the Bank for Investment and Development of Vietnam (BIDV) Can Van Luc suggested the Government needs to eliminate cross-subsidising mechanisms for units using electricity. At present, industrial sectors consuming large amounts of electricity, accounting for 55 percent of electricity density, such as cement, iron and steel, are being compensated for electricity prices and only subject to the lowest price of 6.8 cents per kWh. Meanwhile, electricity costs households 8.7 cents per kWh.